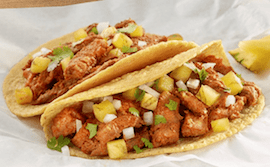 Adobo Marinated Pork Al Pastor is one of Mexico�s most traditional dishes, especially in the states of Jalisco and Nayarit. 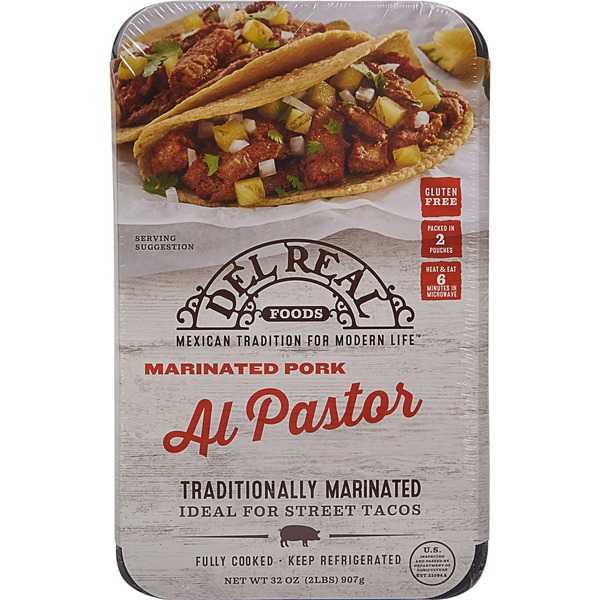 Del Real Foods pork is marinated with fresh chili peppers, red peppers and a traditional blend of spices to create that authentic street taco flavor. This dish is often served in Street tacos topped with diced pineapple. NOTICE: Product will be packed cold for freshness with ice packs in a cooler or insulated foil bag. We will ship expedited even when you select ground for shipping. We only ship these products from Monday thru Wednesday so they don't travel during weekends.